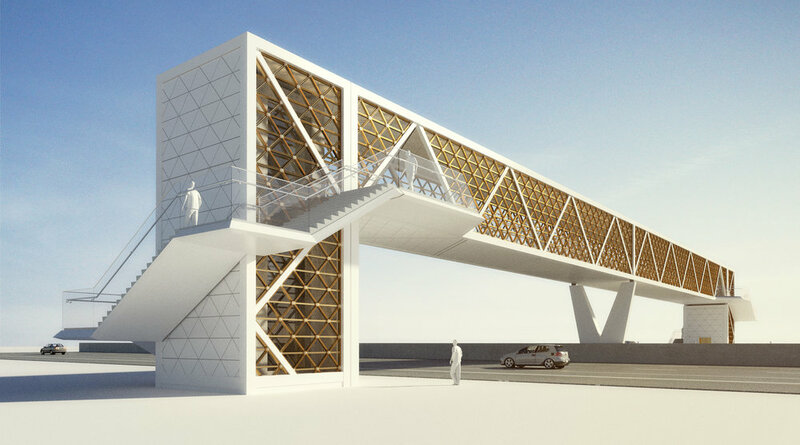 In connection with the project Doha Expressway, DISSING+WEITLING was approached by Parsons Brinkerhoff in order to assist them in creating a design system for 14 pedestrian bridges located along the E-Ring expressway. The pedestrian bridges on the E-Ring aim to enable the area’s residents and visitors to cross this vital road and reach commercial establishments in the area. Equipped with elevators on both sides, the pedestrian bridges can accommodate a large number of users including those with special needs. In addition to facilitating the easy access of pedestrians to residential and commercial facilities adjacent to E-Ring, the Doha Pedestrian Bridges aim to enhance the traffic safety and enable pedestrians to cross roads safely, which are characterised by heavy traffic movement. 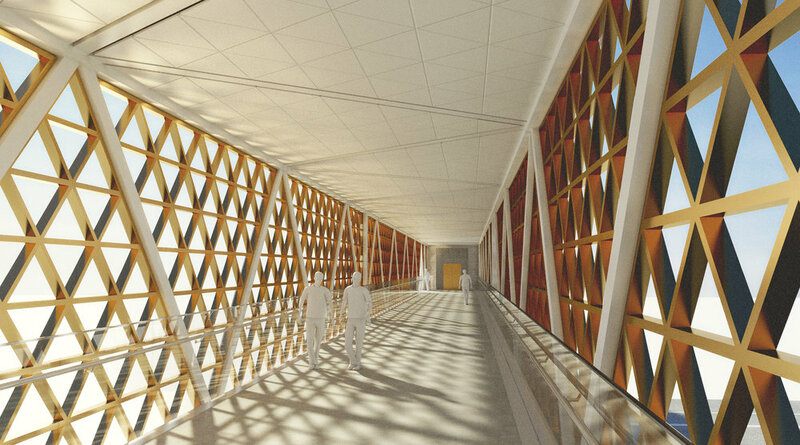 The bridges are covered due to the high temperatures under the desert sun, while the design system ensures that the bridges are seamlessly integrated at the different locations. The first of the 14 pedestrian bridges have already been completed.